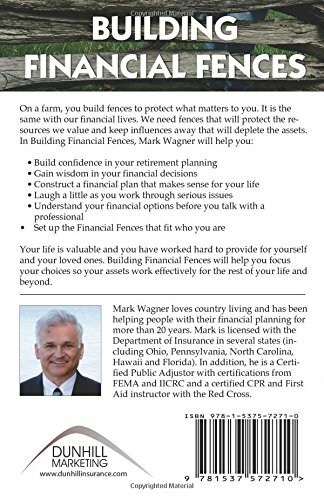 Mark Wagner loves country living and has been helping people with their financial planning for more than 20 years. He understands the average person is looking for simple, common sense ways to prepare for retirement and take care of their valued possessions. That is why he wrote Building Financial Fences. Talking with Mark will help you gain the insight you need to make wise financial decisions, set up financial fences that make sense for your situation and give you peace of mind that your loved ones are being taken care of. Mark has a unique ability to communicate intricate financial concepts in everyday language. He is an independent insurance agent licensed in several states (including Ohio, Pennsylvania, North Carolina, Hawaii and Florida). In addition, he is a Certified Public Adjustor with certifications from FEMA and IICRC and a certified CPR and First Aid instructor with ASHI and the Red Cross. These qualifications have not caused Mark to lose touch with the average person’s experience. He still loves gardening, canning with his mom, driving in the country and meeting people at the county fair. Mark Wants to help you meet your financial goals. He authored Building Financial Fences to give you ground level insight into strategies and products that help you protect your assets. He is available to talk with you by phone or in person to help you sort out your strategic choices. He is able to offer you a range of services (from insurance to public adjusting to retirement planning) to keep your financial fences intact. Mark’s main area of interest is helping you develop a common sense financial plan. He knows you will sleep better and have more confidence when have money set aside to provide for your varied lifetime goals while also maintaining access for life’s unexpected turns. He knows you want to protect your assets and he knows how to help you build the financial fences that will turn your dreams into strategic choices. •	Administrative reviews of Revocable Living Trusts. This means making sure the trust is funded and signature pages are both signed and notarized. •	What to Expect: A Family Guide to Dealing with Death, an online guide for families facing a terminal illness. •	Help in Death Claim Settlements. In this area, his services range from contacting insurance carriers to filing taxes through the proper professional. This helps facilitate clients through probate in the event they did not receive a trust. Mark has spent his lifetime helping people. Mark is a former Navy Corpsman and also promotes life saving techniques to civilian and soldiers as an Instructor of Basic First Aid; CPR/AED; Blood borne Pathogens; Emergency Oxygen Administration; Child and Babysitting Safety. If Mark can’t help you, he will find someone who can. •	Mark is not a lawyer or a tax advisor but he has built an extensive network utilizing these professionals through his Alliance Program. Through this program he is able to refer his clients to trusted professionals, leveraging their expertise when needed. 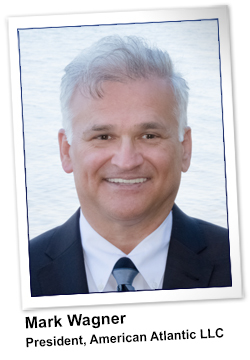 •	Mark is a licensed Public Adjuster who is networked with adjusters in various states. •	Mark is a notary in Ohio and can refer you to notary services in neighboring states. Mark looks forward to working with you to help you achieve your financial goals and Build Financial Fences that will protect your family for generations to come.